You are here: Home / Green Living / Baby Steps / Eco Friendly Holiday Ideas for Even Non Crunchy People! The holidays are fast approaching and that means lots of shopping, baking, entertaining, wrapping, traveling, and decorating. I am always slightly dismayed on the trash day after Christmas to see people’s garbage cans overflowing with packaging and other STUFF that has no other use. So, how do we minimize our carbon footprint this holiday season? 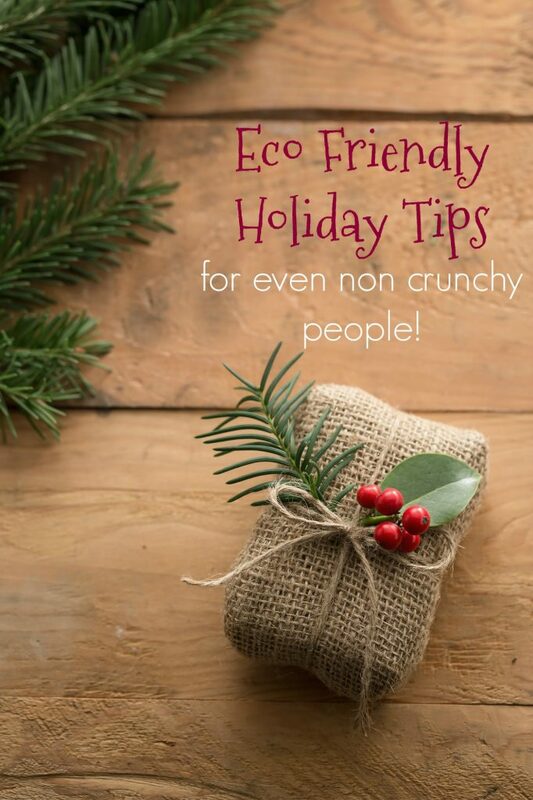 Here are a few eco friendly holiday ideas that even the non crunchiest person can easily adapt! Remember, homemade gifts are a great way to minimize your carbon footprint so check out my gingerbread truffles and homemade lavender oatmeal bath if you want to give a personal and handmade gift. Check out my post on creative uses for pine cones if you want to bring natural elements into your home. 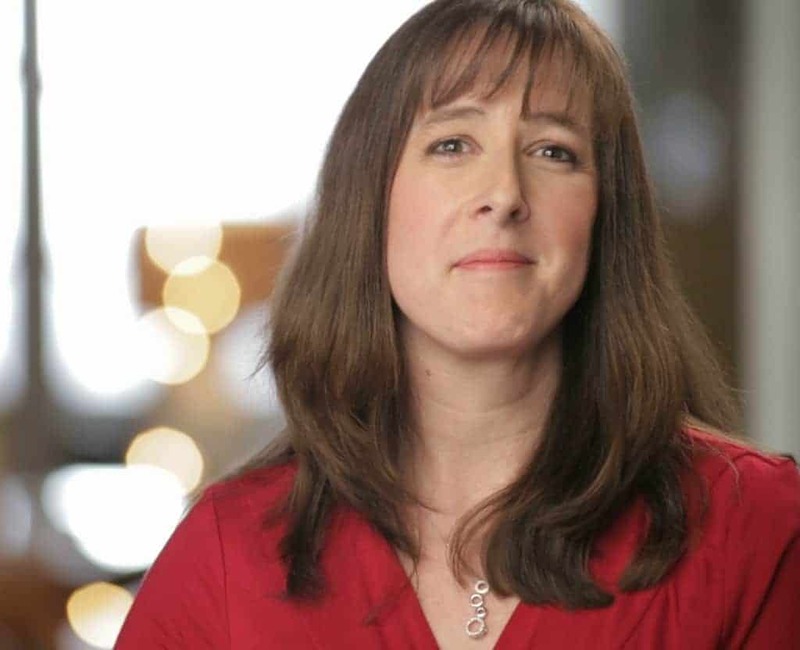 There are SO many ways to create a sustainable holiday season this year! 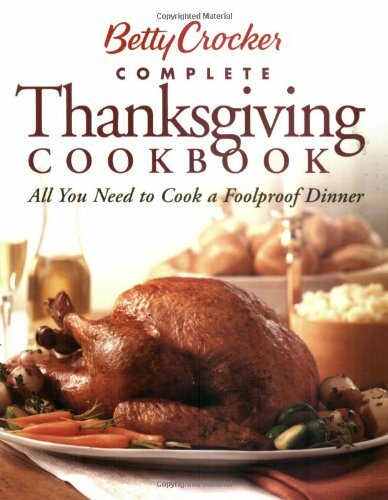 Set aside your traditional ideas involving Thanksgiving and Christmas. Black Friday shopping and dozens of battery-operated electronic toys do not have to be the norm for your holiday season. Here are a few ideas that will let you enjoy the holidays with a small carbon footprint. Check out Local Harvest for nearby farms and co-ops and see what they have that is seasonal and local. Consider locally made cheeses paired with organic crackers or a selection of nuts and seasonal fruits. Apples grow here in Georgia in the fall and I have a local goat’s milk supplier that makes their own cheeses. Choose a heritage, free-range turkey to go with your Thanksgiving feast. 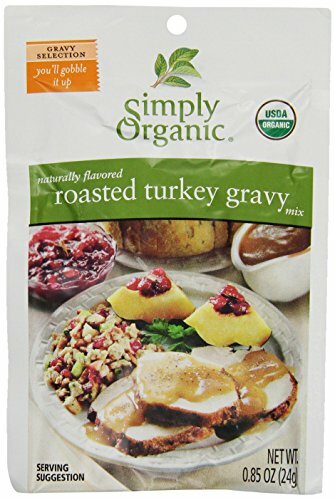 Add in some seasonal sweet potatoes, homemade gravy, and a locally made wine and you have made a difference already! Don’t forget your reusable shopping bags when you are shopping! Consider recycled gift wrap or make your own gift boxes. 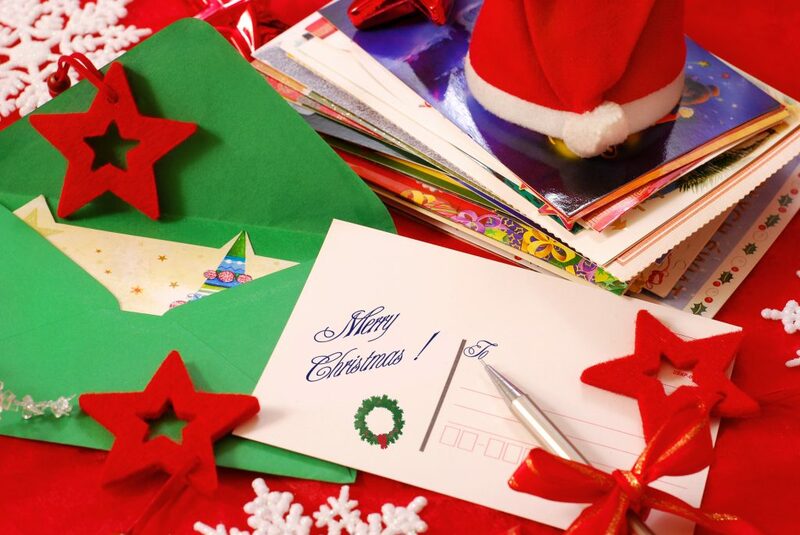 You can purchase wrapping paper made from recycled materials or use newspaper. Reuse a store bought gift bag…one less thing to buy! Babies are easy! Skip the plastic and buy wooden toys to prevent worry over chemicals in plastic getting ingested. If you buy something in a cardboard box, recycle the box AND the wrapping paper when you are done with the unwrapping. Try and find products made in the USA, although I know it isn’t an easy task nowadays. Consider a battery-free Christmas. Or if you must buy a battery operated toy, get rechargeable batteries. And don’t forget, batteries are recyclable. Try and consolidate your shopping trips so you use less gasoline. Pick a day and get as much done as you can. 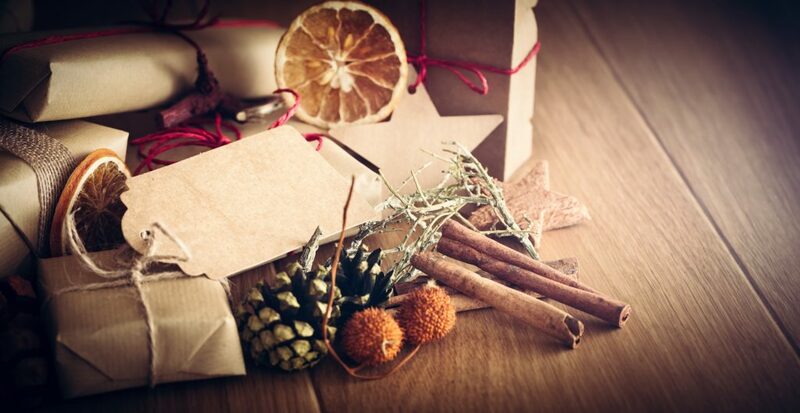 Check out my post on sustainable gift ideas if you need suggestions. Entertaining is a popular holiday pastime and the department stores are full of decorations and frilly things to waste your money on. 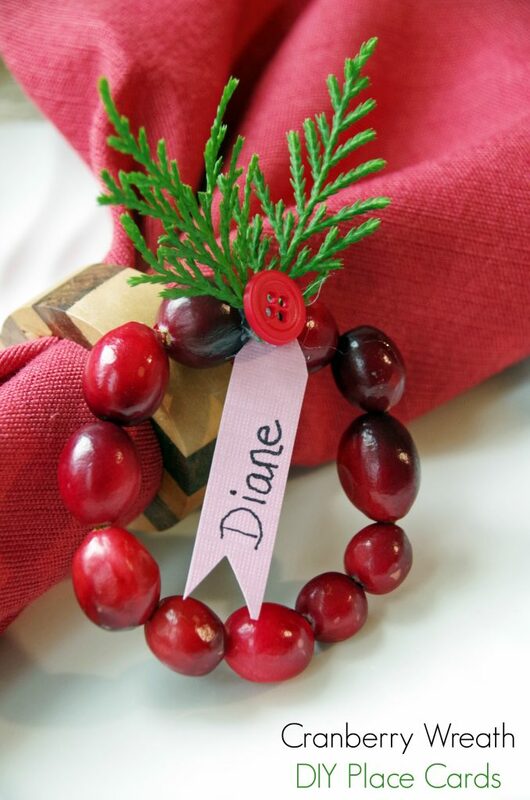 Try making a hand made centerpiece , DIY place cards, or consider the environmental impact of the items you buy. Natural materials are becoming more and more popular in a lot of homes. You can find everything from slate coasters to wreaths made from real branches and berries. Buy soy candles and have your children make homemade decorations for the windows like snowflakes cut from office paper…you can recycle them when the snow thaws. Get your kids to go out gathering pinecones and put them in a decorative bowl and add a little cinnamon oil to them for a great scent. This one is tough…I always send Christmas cards…I just think it is a tradition I am not willing to give up just to save some paper. Consider buying eco friendly cards on recycled paper or making your own on recycled paper. Don’t forget to recycle them or check out Recycle Nation for ideas on what to do with them. So, do you have any other eco friendly holiday ideas to share? How does your family plan on reducing their carbon footprint in the coming months? These are some really great tips! I can't believe the holidays are coming again so fast! Ugh!! Thanks for posting!! I give my kids gifts from garage sales and thrift stores to reuse instead of buying new with more packaging and we wrap with gift bags for our family only. 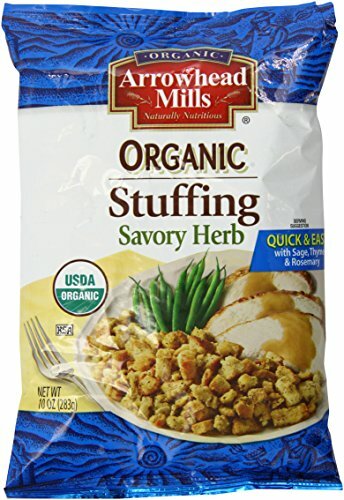 These bags get used year after year after year and are easier for kids to wrap with than paper. I give teachers gift cards to stores instead of trinkets they'll throw away and we give our kids a membership to the zoo or something along those lines. Great tips. I'm enjoying your blog. We have been doing more 'experience gifts' as the kids have gotten older. Concert tickets are great and we had a fun time of our whitewater rafting trip! Glad you are liking the blog and thanks for visiting!